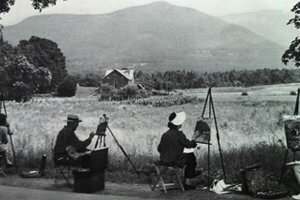 Henry T. Ford, Board Member, Guild Historian and Woodstock resident will present the important history of the Byrdcliffe Artists Colony and the American Arts and Crafts movement which evolved from the colony. The Woodstock Byrdcliffe Guild provides a vibrant center for excellence in the arts and crafts in a beautiful and unique rural community while preserving the historic and natural environment of one of the earliest utopian art colonies in America. It offers an inspiring combination of residency, educational, exhibition, and performance programs that encourage creative collaboration among artists, students, arts professionals, and the public.